·What are BTUs? ·How many do I need? ·Anything else I should know? 2.7 KW / 9000 btu's cooling power. 3kw / 10200 Btu's cooling power. Weights 38 kg (indoor), 13kg (outdoor) Powerful, easy to fit portable split air conditioning for the home or small commercial office. 3.2 KW / 12000 btu's cooling power. The Room Air Conditioner companyis operated by Icecape Ltd trading as RacKettering, who are long established commercial refrigeration engineers. 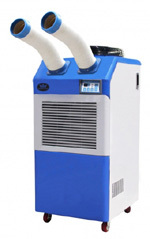 The Room Air Conditioner company provide portable and mobile air conditioning for hire and rent for all types of environments, with a wide range of fixed air conditioner units designed to meet your specific requirements. Portable air conditioning units are available in a wide range of modern stylish designs to harmonise with any interior décor and are available with a heating option at very little additional cost. Mobile air conditioning and installed fixed air conditioner systems can be supplied with a years manufactures warranty subject to having the systems maintained in accordance with the manufacturer's recommendations. This air conditioning unit is compact and designed to allow maximum use of floor space. It has a modern, space saving outlook and can be easily operated from an infrared or wired remote control. Cassette air conditioning units are ideal for rooms where floor and wall space is at a premium. The cassette is compact and stylish and fits flush into a false ceiling. The conditioned air can be discharged in four directions. This particular type of air conditioning cassette unit is ideal for rooms where floor and wall space is at a premium. The cassette is compact and stylish and fits flush onto a false ceiling. The conditioned air can be discharged in four directions. The unique slim design of these air conditioning units is ideal for their installation on either the ceiling or the lower part of a wall and can be easily operated from an infrared or wired remote control. 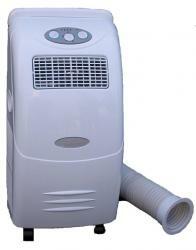 Ducted air conditioning units are ideal for rooms where floor and wall space is at a premium. The ducted system is compact and would be installed within a ceiling void. The conditioned air is discharged via ductwork and ceiling mounted grilles. Floor air conditioning units are ideal for rooms where wall space is at a premium. The floor system is compact and can be installed almost anywhere within a room. It has a modern, space saving outlook and can be easily operated from an infrared or wired remote control. 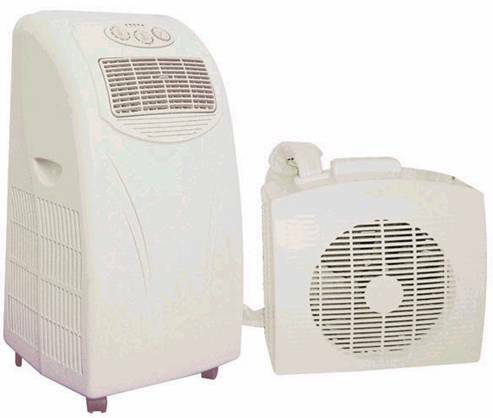 Your online comparison page of affordable immediate order, mobile portable window air conditioner for your room conditioning, monoblock home air conditioning, auto split Danby Delonghi PAC Amcor Electroair cooling power slimline flexible, domestic or office small air conditioners manufacturer .